Aviana-Kun combo decks have been quite popular, and the combination of Aviana and Kun The Forgotten King allow players to create some of the most fun combo decks ever seen in Hearthstone. However, most of the decks require a lot of combo pieces to close out games. Sipiwi94 came up with a combo that involves just four cards for a ‘deck steal’ combo. The combo involves the usual Aviana and Kun setup, and you follow up with King Togwaggle and Azalina Soulthief. It allows you to steal your opponent’s deck and also copy the Ransom card Togwaggle generates using Soulthief. Even if your opponent plays the Random card, you can just play your copy and take their deck for good. You have a lot of draw in the deck and have the tools to ensure you always get a larger pool of cards than what you give away (if you are giving away any cards at all from your deck). Outside your combo, you mostly have draw, armor gain, and removal so even if you give away some of your cards it is unlikely your opponent will be able to win games with them after you pull off the combo. Most importantly, the combo does not take up all of your mana and once you play the 4 cards you still have access to 8 mana to work with cards you have in hand. 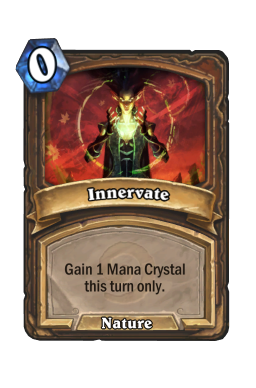 Innervate : We run only one copy of the card as a potential combo piece. If you do not pull Kun in time, you can choose to play Aviana and Togwaggle for 10 mana. Follow up with Innervate and play Soulthief to finish off your combo without Kun. You should of course, not hold on to the card for the abovementioned scenario and use it for value whenever you can. 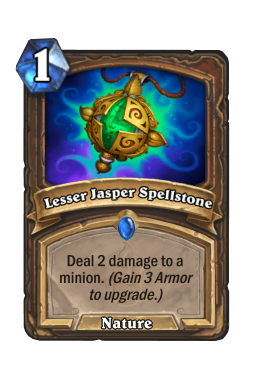 Lesser Jasper Spellstone : It is very easy to trigger with cards like Oaken Summons, Malfurion the Pestilent, Ferocious Howl and Ultimate Infestation in the deck, it is a very flexible spell that can help you wipe out threats very efficiently. 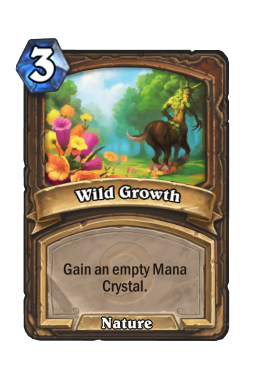 Wild Growth : Druid’s basic ramp tool that allows you to have more mana to work with in future turns. And if you are already at maximum mana, you can use it to draw a card. It is also a good pick over minion-based ramp tools because we do not want to make our Oaken Summons less effective by putting in something like Mire Keeper. 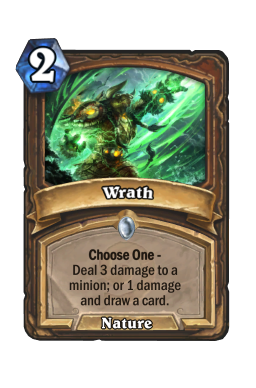 Wrath : An efficient removal tool that can either cycle itself for a ping or deal three damage to opponent minions. It is one of the best early game board control tools available in the game. 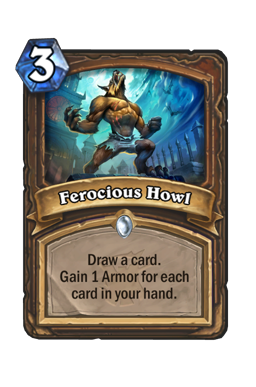 Ferocious Howl : A cycle and armor gain card that more often than not, is better than Shield Block. 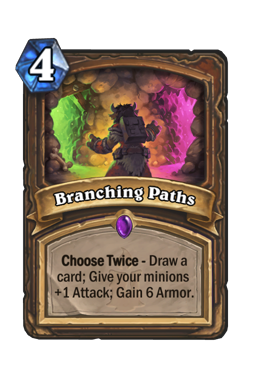 You can early gain a bunch of armor and it has great synergy with Branching Paths : A card that has saved me countless times against aggressive decks, especially against aggressive decks. You mostly use the card to draw or gain armor. It often helps against surviving against incoming damage quite effectively or can be used as a powerful draw tool against slower decks. 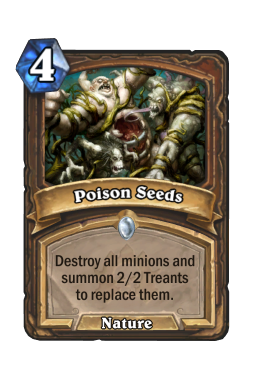 Poison Seeds : This card is mostly a tech choice to counter mass board buffs and Naga decks that Druid can’t otherwise deal with. You can deal with multiple big threats very efficiently. 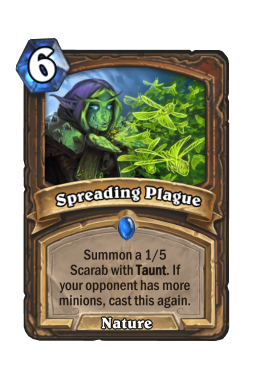 At ten mana, you can do the Poison Seeds + Spreading Plague combo to stall incoming damage for multiple turns potentially. 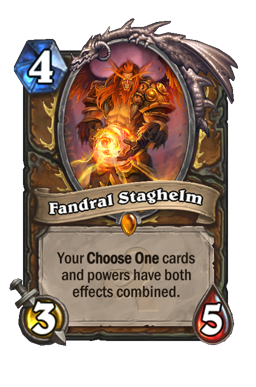 Fandral Staghelm : We only run three unique minions in the deck and Fandral is one of them. With a whole bunch of Choose One cards in the deck, you can get solid value out of the card. Even if you manage to pull it on a curve with Oaken Summons and have no follow-up, it is a very high priority threat for your opponent to remove, and it acts as a pseudo-taunt. 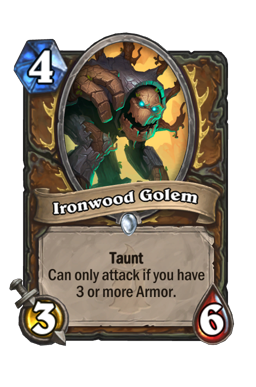 Ironwood Golem : This is one of the few non-combo minions in the deck. 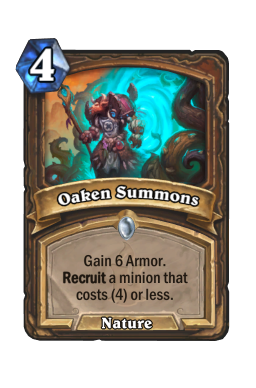 You ideally want to pull it out of Oaken Summons as it allows you to gain 6 armor as well as pull the minion out of your deck. Oaken Summons : Oaken Summons is a great minion to pull out your Ironwood Golems or your Fandral. It thins your deck and also gives you added health which is very useful against aggressive decks. Spreading Plague : A card that can shut down aggressive decks quite effectively. It is a clutch card that can block a ton of incoming damage and forces your opponent to either keep trading for multiple turns or use spells to clear out the wall of taunts. 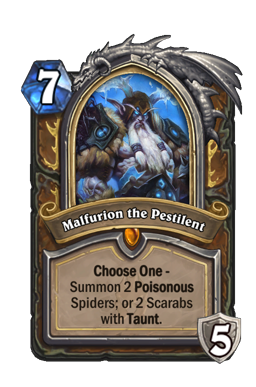 Malfurion the Pestilent : One of the best death knights in the game. It is very powerful against aggressive decks as you can use your hero power to either clear out their minions or keep getting 3 armor each turn. Getting this card out as early as possible against Secret Mage is important as you can potentially outlive through all of their burn damage and exhaust them completely. 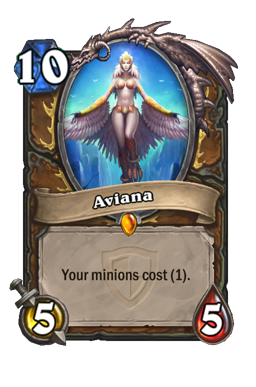 Aviana : Aviana is the stepping stone for your combo and it allows you to pull off crazy combos with Kun The Forgotten King. 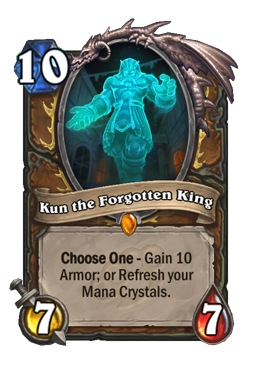 Kun The Forgotten King : After playing Aviana, Kun can be used to refresh your mana crystals. It allows you to play your minions for 1 mana for some powerful combos. 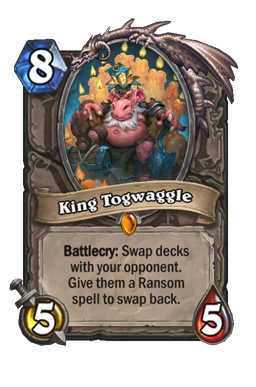 King Togwaggle : King Togwaggle is one of your combo pieces and should be used once you refresh your mana crystals after playing Aviana. He swaps your deck with your opponent and gives your opponent a Ransom card in hand to reverse the effect. 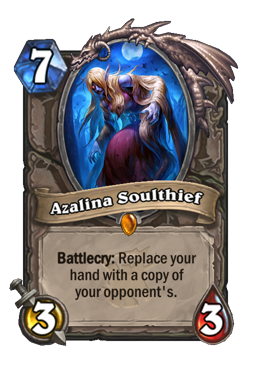 Azalina Soulthief : Azalina Soulthief is the final combo piece that allows you to steal the Ransom card that is generated when you play King Togwaggle. 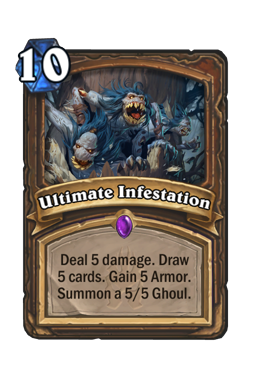 Ultimate Infestation : A card that needs no introduction. The card is extremely effective whenever you play it. You get armor gain, card draw, damage and a 5/5 on board up. In very slow matchups if you already have your combo in hand, you can forcibly overdraw and burn your deck before playing your combo to deny your opponent value. The Togwaggle Druid list is one of the most effective and fun Aviana combo decks. The core shell of the deck with removals, draw and stall are same across multiple OTK decklists but the win condition is quite different from something like Malygos or Fatigue lists. It is a really fun deck that you should try out in Wild if you have the cards!